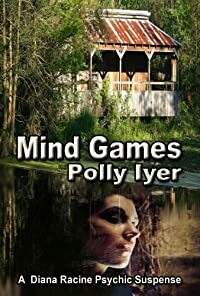 During a New Orleans Mardi Gras Ball, psychic entertainer Diana Racine touches the hand of a masked Cyrano de Bergerac and is instantly transported into the icy-cold body of a dead woman submerged in water. As Diana crumples to the floor, water filling her lungs, she hears Cyrano whisper that the game has begun. Diana has been called every epithet in the book: charlatan, cheat, publicity hound...and genius--all at least partially true. But convincing New Orleans police lieutenant Ernie Lucier that her vision of the dead woman is the real thing may be her hardest act yet. He becomes a believer when Diana leads him to the alligator-infested bayou and the woman's remains. When another vision leads to another body, it's clear that the two dead women are a prelude to the killer's ultimate victim--Diana.